Summary: On the Seventh Day, after God made the heavens and the earth and saw that they were “very good, (Genesis 1:31)” He rested from His creative tasks and thus hallowed a day of rest for mankind. 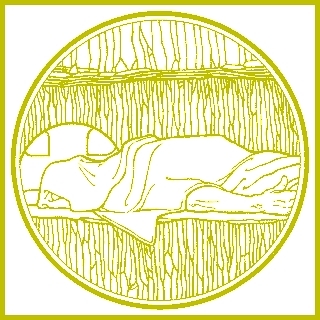 Similarly, after Jesus completed His tasks in establishing the New Creation, He also took a Sabbath rest in a donated tomb. While God first rested after the efforts of making and then rested again after remaking a Creation that He could call very good, He never withdrew from that which He’d made. He continued sustaining and preserving what He made that life might go on. In the beginning, that first Sabbath rolled into the first day of earth’s second week. As the Sabbath of Holy Week ended, not only did the next week’s first day dawn — Christ also ushered in the Eighth Day, the Day of Resurrection and Everlasting Life. As we continue living in time, we also, by faith, live in that Eighth Day, trusting that even if we rest in the grave for many years, Christ will call us forth into everlasting life. Almighty God, by the death of Your Son Jesus Christ You destroyed death, by His rest in the tomb You sanctified the graves of Your saints, and by His bodily resurrection You brought life and immortality to light so that all who die in Him abide in peace and hope. Receive our thanks for the victory over death and the grave that He won for us. Keep us in everlasting communion with all who wait for Him on earth and with all in heaven who are with Him, for He is the Resurrection and the Life, even Jesus Christ, our Lord. Audio: Click to hear the MP3 of On the Seventh Day God Rested.